A 15-year-old boy had to be hospitalised with head injuries, after he was allegedly attacked by another student at the Pembroke secondary school on Monday. The teenager's father turned up at the school later but left the school grounds before police officers arrived. He later turned himself in to the police later in the evening. He has been released on police bail pending further investigations. The violent incident, which drew condemnation from two unions and Education Ministry, was sparked when two teen students - one in form 3 and the other in form 5 - got into a fight. Shortly afterwards, the younger student's father arrived at the school, accompanied by two other men. Two staff members, understood to be an assistant head and a teacher, were hurt as they tried to break up the fight. By the time police officers arrived, the father and his two accomplices had left the premises. The parents of the other child only came to the school when they were called in. Lawyer Arthur Azzopardi told the Times of Malta that his client - the 15-year-old's father - had been provoked into a fight. He said the teachers were injured not by his client but by a third person. "On behalf of the family of the assaulted minor we wish to express our regret at the teachers having been injured. We show our full support and solidarity with the teachers and support all calls made by the relative unions to increase security within schools such as CCTV since had such cameras been in place the police would know who the perpetrator is." 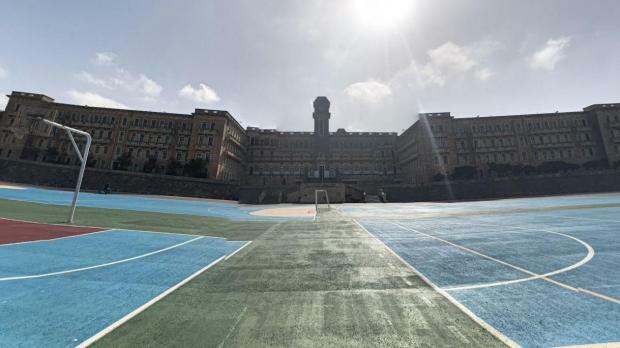 Monday's altercation involved a Maltese and Libyan student, and a teacher who spoke on the condition of anonymity blamed the incident on bubbling tensions between students from the two countries. "It's getting out of control," the teacher said. The Malta Union of Teachers condemned the incident, stating it was having to say the “same things over and over”, with instances like this proving the union right. The MUT said it was currently in contact with the respective authorities and would continue to look into the issue at this school and assist members accordingly. It reiterated its appeal "for the umpteenth time" to the government to equip schools with adequate security measures to ensure that similar incidents were avoided. The Union of Professional Educators also slammed education authorities, saying their 'lack of foresight' had led to such situations. The ministry had failed "multiple times" to protect education sector workers despite several pleas, the UPE said. In a separate statement, the Education Ministry said that the government would be fast-tracking the introduction of harsher penalties for violence in schools. Those proposals would see fines in such cases reach €5,000. The victims in Monday's case would be offered all the support they needed, the ministry added.